After having spent the last 2 & a half months bicycling through Colombia I feel as though I have THE ULTIMATE ITINERARY. With one concession. This guide is written for those who would take experiencing Colombia’s beautiful landscapes over sitting on the beach. But if you ARE a sit on the beach type I can tell you that I went to Cartagena & Santa Marta and enjoyed both these places quite a lot because of their history, beaches & snorkeling. 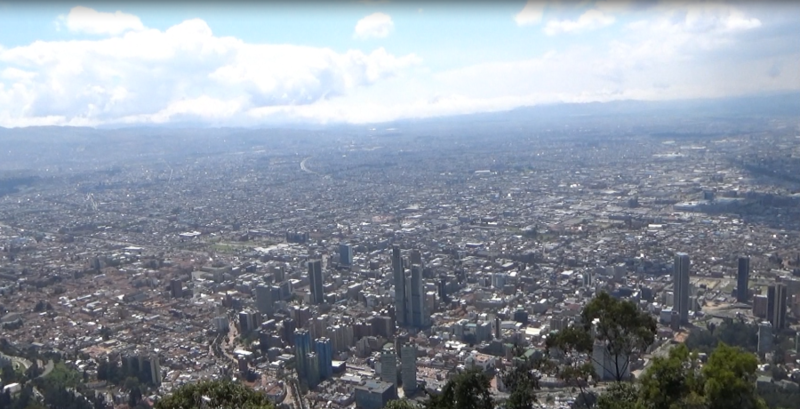 I have heard that people fly in and out of Bogota for their vacation without taking anytime to see the city. This is crazyness. To me taking a free historical tour, admiring the best architecture in the country and hiking Monserrate to see the endless size of Colombia’ Biggest city are must DOs if coming to Colombia. But for some, skipping Bogota and flying into Medellin is understandable. These people would be those who can’t stand long bus rides (12 hours) with lengthy windy road sections. But if you can stand it the last 3 of the ride provides some jaw dropping scenery in the Andes. There’s also the option of flying to Medellin. Tickets can be around 200,000 (about 65 US Dollars). If you look for good prices in advance you can probably find tickets as low as 40$ (the bus ride there is 18-25$). This is a pretty cool city and probably the hippest in Colombia right now. 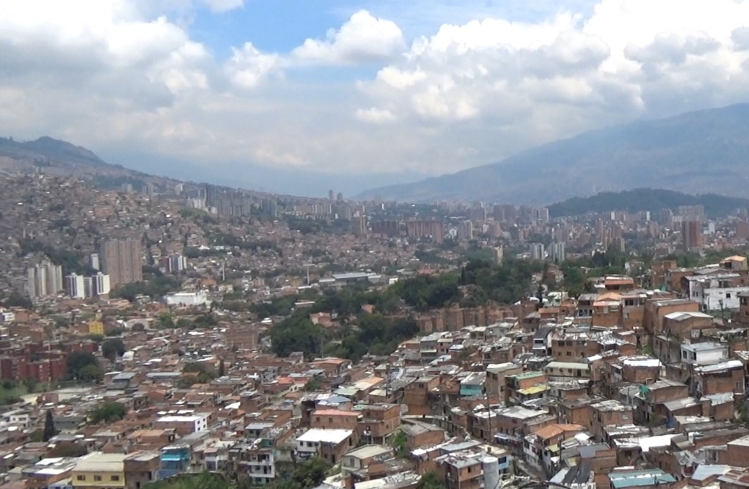 Medellin has undergone kite a transformation since the days of it being considered as being the most dangerous city in the world. 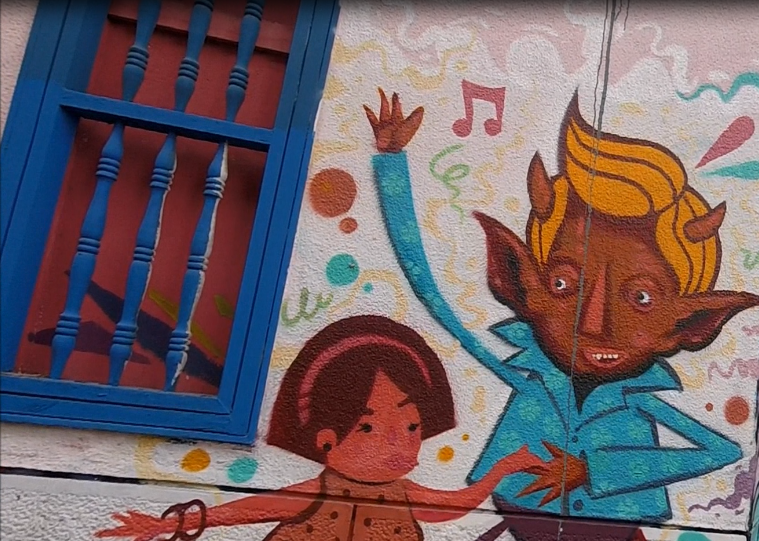 Like Bogota, Medellin has some amazing free walking tours that can teach you this interesting past and present while showing you around the city. and One cable car ride to your destination for less than a dollar. For the ballers out there you can even make it to Parque Arvi high up in the Andean mountains and back into the city for an additional cost of less than 4 dollars (there and back). Colombia is famous for their coffee and this is where it’s made. But even if you’re not necessarily interested in doing a coffee plantation tour you should still make it a point to come here because the coffee is grown in the mountains and this is a beautiful part of Colombia. 2.1 First, I would recommend spending a day or a few in Manizales, the city of open doors. This saying refers to the people being friendly and welcoming. It’s also a a great city to explore thanks cathedrals colonial architecture and amazing vistas since the city is very high in elevation. + Manizales also has cable cars! Not as many or as impressive as Medellin but definitely still worth a ride. Also Manizales is the closest town/city to Ruiz National Park where you can hike up a massive volcano! 2.2 Salento is a small town that shouldn’t be missed. 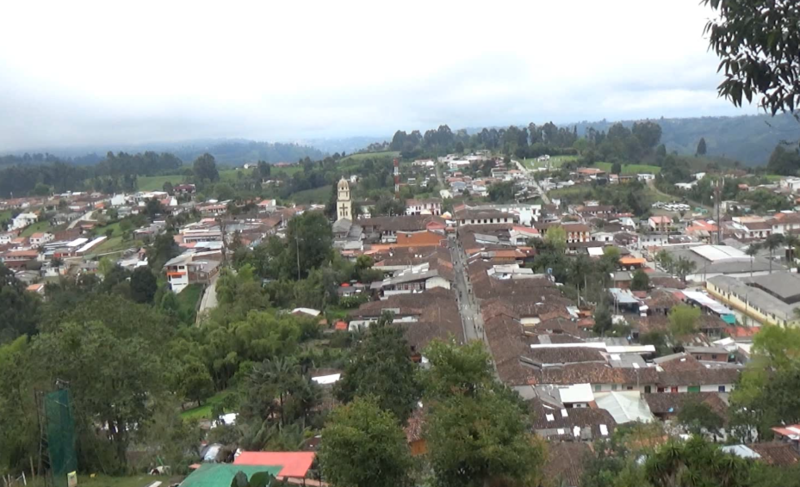 The town itself is picturesque and like Manizales it has some awesome vistas. What’s more is that it’s the closest town to the Cocora Valley. An inexpensive Jeep ride and hike will take you to the Cocora Valley where you will see a sight unlike any other. I’ve heard peoples accounts of being disappointed by Cali and leaving early. Although it might not be quite as awesome as Bogota or Medellin (in my opinion) I definitely think that it’s worth visiting. For some people this could potentially be their favorite place in Colombia. These people would be dancers! Cali is the salsa capital of the world. And even if you don’t have a clue as to how to dance like a condiment, many of the hostels here offer free beginner salsa lessons. And once you feel brave enough to take your skills out into the real world there are many Salsa (and other Latin dances) bars to strut your stuff. And if you have two left feet (this is me) there’s still lots to see, do and learn in one of Colombia’s oldest cities. Another reason why I included Cali in this itinerary, ehum excuse me THE ULTIMATE COLOMBIA ITINERARY, is that depending on how long you’re travelling this could be a good end point given that Cali has an airport. But if you have an unquenchable thirst for travel and must continue (possibly to Ecuador) keep reading. 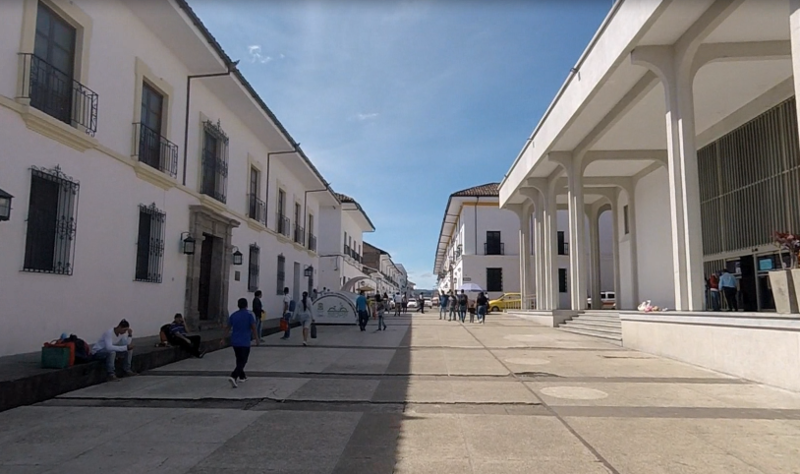 Most of the buildings in Popayan’s downtown area are painted white. This wasn’t done because it looks cool, which it does, but because of a specific historical reason that I discuss in my video tour of the city. In addition to walking around the downtown area the city also has some impressive viewpoints and is near the Puracé National Park if you’re into doing some real hiking. After this you’ll probably be famished. Thankfully Popayan was declared a City of Gastronomy by UNESCO in 2005. This means you’ll have many distinctive and delicious options to choose from. This is not a very touristed city. Probably because it’s a bit far from most of the action in Colombia. 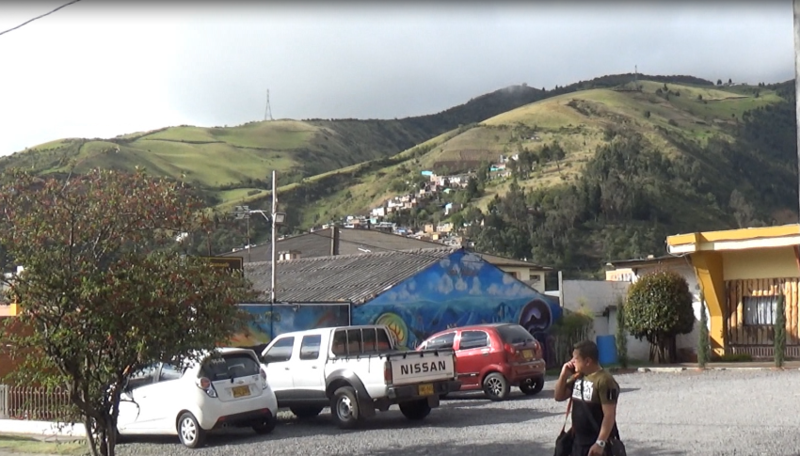 But if you’re heading to Ecuador I recommend staying in Pasto for more than a sleep over. The city itself architecturally has an interesting mix of the old and the new. Pasto is Colombia’s theological (religious) capital. Churches anyone? But probably the best parts about Pasto is it’s proximity to awesome hikes. Some of which border the city, such as the Galleras Volcano and natural reserve. 30KMs south east is the Laguna de Cocha a massive beautiful lake that plays an important role in hydrating the amazon. Another nearby lake worth visiting is the Laguna de Azufral which has a bright blue-greenish hue next to the Volcan de Azufral. And if you’re looking for a real challenge you can climb the Cumbal Volcano, which is the tallest in Southern Colombia. On a clear day you can see the Pacific ocean from the summit. Colombia is a huge country so naturally there are alot of places that are worth visiting that could not make it onto this list. This itinerary was conceived to provide the essential for someone wanting to have an action packed few weeks in Colombia. This is the only place I have been to out of the honorable mentions. San Gil is Colombia’s adventure sports capital, which means hiking, swimming, caving, white water rafting, bungee jumping and paragliding are all a stone’s throw away. Sound amazing (vegetation and animals) but was impractical since I am bicycle touring. This can be an interesting cultural experience as this land (a desert but I hear it’s pretty) is mostly inhabited by the indigenous Wayu people. If you’re considering coming to Colombia to travel you probably have some other questions about Colombia like ”is it safe to travel here?”. Thankfully I have a written an article on this very topic. No need to thank me. You may have noticed the links throughout the article (mostly in the city subtitles) linking to the video I’ve made of the location in question. 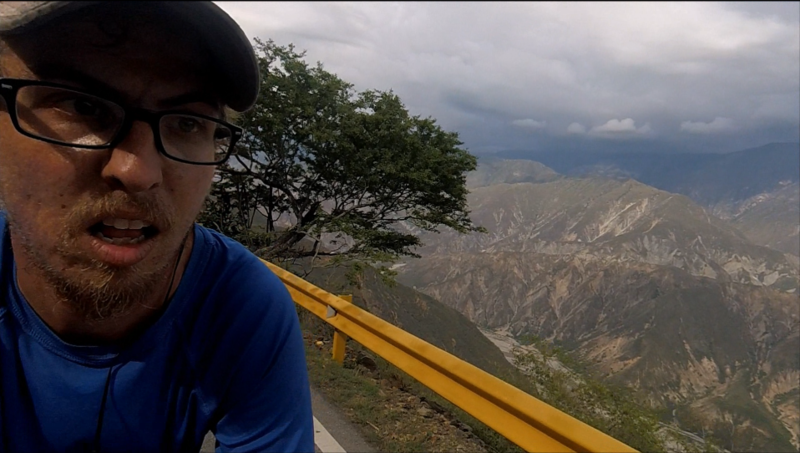 If you would like to see all the videos I’ve made in Colombia here’s the full playlist. I was in Colombia as part of my first bicycle tour going from Canada to Argentina. Here’s an interactive map of everywhere I’ve been where you can click on the locations and see the blog posts and videos I’ve made of these places.